(Kilpatrick et. al., 2001), it is essential to know how the selection of task affect the interaction in a group work and that different quality of talk have different impact on what learning outcomes that is possible. Talks where students are able to exchange ideas seem to give the student the opportunity to practice their adaptive reasoning. This study gives evidence that students experience of a task in mathematics affect the collaborative work with mathematical problems exposing different cognitive processes (cf. Säljö, 2000; Mercer, 2004). This was also shown by Rojas-Drummond et al. (2001) who argued that different types of interaction have different types of educational value for children. Becker, J. P., & Selter, C. (1996). Elementary school practices. In M. A. Clements, A. J. Bishop, C.
Keitel, J. Kilpatrick & F. K. S. Leung (Eds. ), International Handbook of Mathematics Education (pp. 511-564). Dordrecht: Kluwer. Cohen, E. G. (1994a). Designing groupwork. New York: Teachers College Press. Educational Research, 64, 1-35. Doise, W., & Mugny, G. (1984). The social development of the intellect. Oxford: Pergamon Press. Hammar Chiriac, E. (2011a). Research on group work in education. New York: Nova Science Publishers, Inc.
Issues in Compulsory Education (pp. 25–44). New York: Nova Science Publishers, Inc. Hammar Chiriac, E., & Forslund Frykedal, K. (2011). Management of group work as a classroom activity. World Journal of Education, 1, 3-16. Gabriele, A. J., & Montecinos, C. (2001). Collaborating with a skilled peer: The influence of achievement goals and perceptions of partners’ competence on the participation and learning of low-achieving students. Journal of Experimental Education, 69, 152–167. Educational Research 39, 35–49. Gillies, R. M., & Boyle, M. (2010). Teachers’ reflection on cooperative learning: Issues of implementing. Teaching and Teacher Education, 26, 933–940. Goods, M., & Gailbraith, P. (1996). Do it this way Metacognitive strategies in collaborative mathematical problem-solving. Educational Studies in Mathematics, 30, 229-260. Hertz-Lazarowitz, R. (1989). Cooperation and helping in the classroom: A contextual approach. A. King (Eds. ), Cognitive perspectives on peer learning (pp. 39–65). New Jersey: Erlbaum Press. Johnson, D., & Johnson, F. (2004). Joining together: Group theory and group skills. Boston: Allyn and Bacon. Mathematics Learning Study Committee. Washington D.C.: National Academy Press. Leikin, R., & Zaslavsky, O. (1997). Facilitating student interaction in mathematics in a cooperative learning setting. Journal for Research in Mathematics Education, 28 (3), 331-254. Mercer, N. (2004). Sociocultural discourse analysis: analysing classroom talk as a social mode of thinking. Journal of Applied Linguistics, 1, 137-168. National Agency of Education. (2011). Läroplan för grundskolan, Lgr11. Stockholm: Department of Education. Oliveira, A. W., & Sadler, T. (2008) Interactive patterns and conceptual convergence during student collaboration in science. Journal of Research in Science Teaching, 45, 634-658. Phelps, E., & Damon, W. (1989). Problem solving with equals: Peer collaboration as a context for learning mathematics and spatial concepts. Journal of Educational Psychology, 81, 639–646. Oxford University Press. Rojas-Drummond, S., & Mercer, N. (2003). Scaffolding the development of effective collaboration and learning. 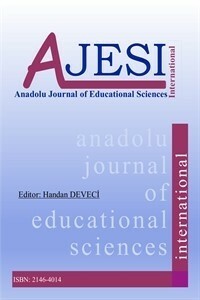 International Journal of Educational Research 39, 99-111. Rojas-Drummond, S., Mercer, N., & Dabrowski, E. (2001). Collaboration, scaffolding and the promotion of problem solving strategies in Mexican pre-schoolers. European Journal of Psychology of Education, 16, 179-196. Ross, K. A. (1998). Doing and proving: the place of algorithms and proof in school mathematics. American Mathematical Monthly,5, 252-255. Ryve, A., Nilsson, P., & Pettersson, K. (2013). Analyzing effective communication in mathematics group work: The role of visual mediators and technical terms. Educational Studies in Mathematics, 82, 497-514. Samaha, N. V., & DeLisi, R. (2000). Peer collaboration on a nonverbal reasoning task by urban minority students. Journal of Experimental Education, 69, 5–14. Samuelsson, J. (2008). The impact of different teaching methods on students’ arithmetic and self- regulated learning skills. Educational psychology in practice ,3, 237-250. Samuelsson, J. (2010b). The effect of peer collaboration on children’s arithmetic and self-regulated learning skills. Electronic Journal of Science and Mathematics Education, 2, 130-153. Strough, J., Berg, C. A. & Meegan, S. P. (2001). Friendship and gender differences in task and social interpretations of peer collaborative problem solving. Social Development, 10, 1–22. Summers, J. J., Beretvas, S. N., Svinciki, M. D., & Gorin, J. S. (2005). Evaluating collaborative learning and community. Journal of Experimental Education, 73, 165-188. Tudge, J. R. H., & Winterhoff, P. (1993). Vygotsky, Piaget and Bandura: Perspectives on the relations between the social world and cognitive development. Human Development, 36, 61-81. Tudge, J. R. H., Winterhoff, P., & Hogan (1996). The cognitive consequences of collaborative problem solving with and without feedback. Child Development, 67, 2892-2909. Webb, N. M., & Favier, S. (1999). Developing productive group interaction in middle school mathematics. In A. M. O’Donnell & A. King (Eds. ), Cognitive perspectives on peer learning (pp. 117-149). New Jersey: Erlbaum. Webb, N. M., & Mastergeorge, A. (2003). Promoting effective helping behaviour in peer-directed groups. International Journal of Educational Research, 39, 73-97. Wertsch, J. (1998). Mind as action. Cambridge, MA: Harvard University Press. Volosinov, V. N. (1973). Marxism and the philosohy of language. Translated by L. Matejka and I.
R.Titunik. New York: Seminar Press. Vygotsky, L. S. (1934/1986). Thought and language. translated by A. Kozulin. Cambridge, Mass. : MIT Press.